The Hymn Society of Great Britain and Ireland Bulletin, published four times a year, is sent by post to all members of the Society. 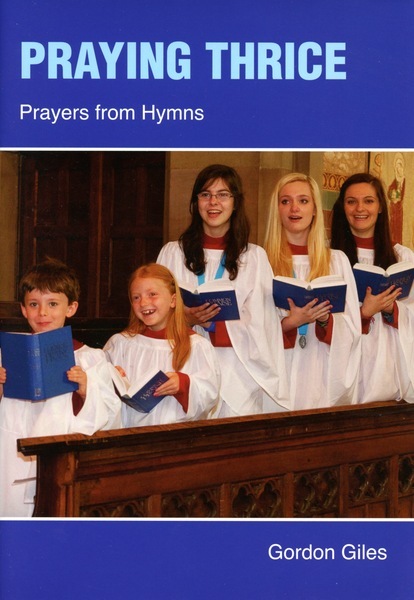 It has a variety of content ranging from articles about hymns and hymnology to reviews of new publications related to the world of hymnody. The latest issue is always available online to members of the Society and we are at work digitising the entire collection of Bulletins to be made available online. We have just introduced an interactive online index of the Bulletin which covers almost every issue since 1937 (it will eventually cover all issues). 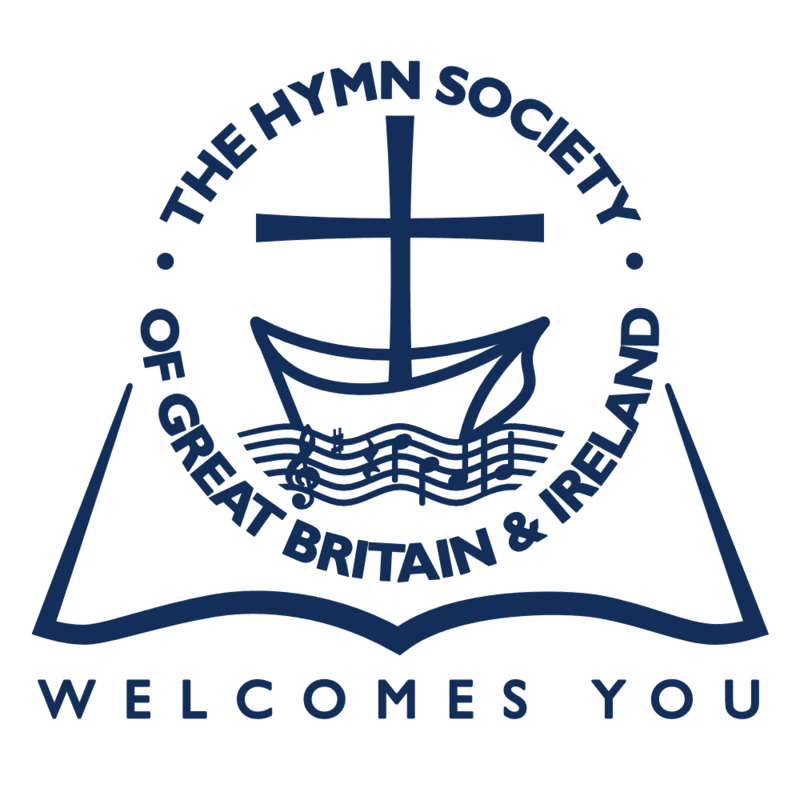 The index is comprised of seven categories which are searchable, downloadable and printable and are made available to everyone visiting the Hymn Society of Great Britain and Ireland website. For members there is an added advantage, each entry will be linked to its relevant article within an issue, opening the article and scrolling to it when logged into the website. Non logged in members have the option of logging in, non members have the option of becoming a member to view the content. The index is available here. Summaries of recent volumes is available here while a list of Bulletin volumes is available here. The complete Volumes 19 to 21 are available on-line to members only but a list of their contents is available here in the Members area. 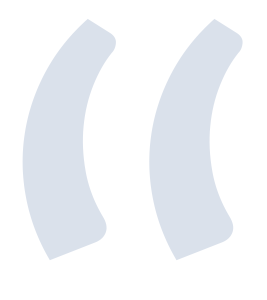 From time to time longer articles are issued separately as Occasional Papers. These are free to members and made available to non-members for a modest fee. Other publications by The Hymn Society of Great Britain and Ireland are below. A hymn is a congregational expression of praise or prayer to God. It is most often conceived as sacred poetry in regular stanzas, usually in metric and rhyming form, and set to repeated music for corporate singing. It may focus on different aspects of doctrine or the devotional experience of individuals. This genre includes metrical psalms, but does not necessarily include the less structured pattern of most ‘worship songs’. Martin Leckebusch was born in Leicester into a family with Methodist roots. He made a personal Christian commitment at the age of 14. Greatly influenced by the charismatic/evangelical tradition, he has belonged to both Pentecostal and Anglican congregations as well as spending six years as a Methodist Local Preacher (1992-98). He currently is a worshipping member of a Baptist congregation in Gloucester. He read Mathematics at Oriel College, Oxford and Numerical Analysis at Brunel University, since when he has worked in IT as a systems programmer and an infrastructure designer. He and his wife have four daughters; their second child, a son, died in 1995. Martin began writing hymns in 1987 and has now produced around 400 texts. A collection of 144 texts, More than Words, was published by Kevin Mayhew in 2000. He has since produced Songs of God's People (Mayhew, 2006) – a collection of 150 texts, based on the complete Psalter, for singing to well-known tunes. His texts have also appeared in Sing Glory (1999), Praise! (2000), Carol Praise (2006) and other collections ranging from several Spring Harvest songbooks to the Methodist, Anglican and Catholic versions of Hymns Old & New (2001, 2004 and 2005 respectively). He chairs the Text Advisory Group of Jubilate Hymns and also consults regularly with representatives of the more informal song writers. In addition to his hymn writing, Martin has recently completed a book of contemporary parables, due for publication in 2008. Martin is keen to see the Church equipped for Christian living, and believes that well-crafted and wisely-used contemporary hymns and songs have a vital role to play in that process. John Barnard is active in church music as composer, arranger, choir director and organist in Harrow, England. He has contributed to several Jubilate publications including Hymns for Today's Church, Carols for Today, Psalms for Today and Sing Glory. More recently he has co-edited with David Iliff The Carol Book for the Royal School of Church Music, a photocopiable resource for the Christmas period, and a sequel to cover the rest of the church year is in preparation. 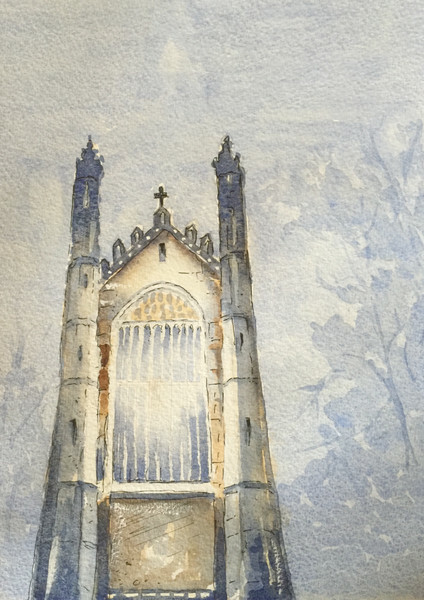 John is probably best known for his hymn tune GUITING POWER (written for Michael Saward's hymn, ‘Christ triumphant, ever reigning) which is widely sung throughout Britain and Ireland and further afield. His musical activities are a hobby. He is a languages teacher by profession and was from 1987 to 2002 Second Master (deputy headmaster) of the John Lyon School, Harrow. He now earns a living teaching German on short-term contracts in schools in north-west London. Edward Darling studied for ordination at Trinity College, Dublin, where, in his final year, he was Student Organist in the College Chapel. He was ordained in 1956 and served two curacies in the city of Belfast. He then ministered for ten years in St. Gall's Parish in Carnalea near Bangor, Co. Down, during which time he was also chaplain to the Bangor Hospital. From 1972 to 1985 he was incumbent of St John's, Malone, Belfast and, for the latter part of his years there, also a minor canon of Belfast Cathedral and chaplain at the Ulster Independent Clinic. In 1985 he was consecrated bishop, and served for the next fifteen years as Bishop of Limerick and Killaloe in the south-west and mid-west of Ireland. He retired in 2000, moving from Limerick back to Craigavon in the north. Bishop Darling was General Editor of the interim supplementary hymnal Irish Church Praise in 1990 and of the Church Hymnal, (fifth edition) in 2000. Both books feature some of his tunes and texts, the latter including adaptations, paraphrases and new versions of liturgical canticles. He compiled the lectionary hymn-guides Choosing the Hymns (Collins, 1984) and Sing to the Word (OUP, 2000) and was joint-author with Dr. Donald Davison of Companion to Church Hymnal (Columba, 2005). He became an Honorary Fellow of the Guild of Church Musicians in 2006 and was elected Executive President of the Hymn Society of Great Britain and Ireland at its annual conference in July 2007. Bernard Massey was educated at Watford Grammar School and Queen Mary College London. He was successively Lecturer, Senior Lecturer and Reader in the Department of Mechanical Engineering at University College London 1952-85, and is the author of three science and engineering text-books. He was organist of the former Congregational Church, Redhill, Surrey 1964-88, and was president of the Organ Club 1968-70. He edited the Bulletin of the Hymn Society of Great Britain and Ireland from 1975 to 2002, with an additional spell as acting editor in 2003. He served on the music sub-committees for the two hymnals, Hymns & Psalms and Rejoice & Sing. 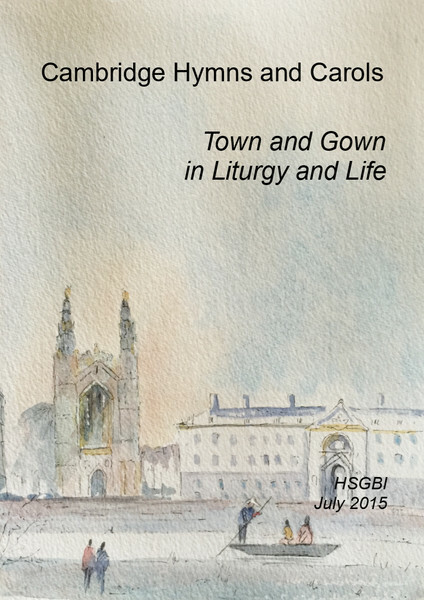 Please make cheques payable to "The Hymn Society of Great Britain and Ireland"